The enormous challenge of dealing with the backlog of potholes and defects caused by the severe cold snap earlier this year was given a boost this month, when the County Council committed an extra £6m to the road repairs budget. With this extra money, two new ‘dragon patchers’ and extra pothole gangs will be put to work across Hampshire. Quick and efficient, the ‘dragon patcher’ can repair a defect five times faster than traditional methods, and is effective in all weathers as its ‘flame’ heats and dries a wet road surface before repairing it. The whole operation, done by one person working from the cabin, takes just a few minutes and the road is ready for traffic immediately afterwards. 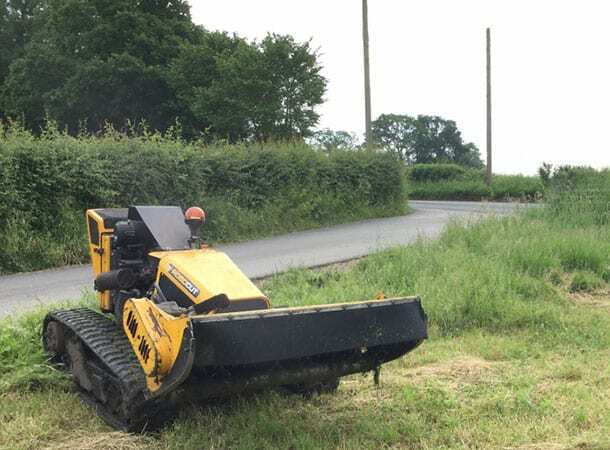 Another way Hampshire Highways is harnessing technology, is through the use of remotely controlled semi-robotic grass cutters to help look after Hampshire’s 2,000 miles of highways verges. A trial is underway this summer, using these smart devices. They can easily navigate around obstacles and pre-set boundaries. This means they can be used in areas where traffic travels at higher speeds, keeping workers safe in areas where it would be more dangerous for them to operate. Road closures or coned off areas are avoided as well, so more effective, quicker and efficient all round. Grass and foliage is cut once a year on rural roads, and outside of this, grass and foliage will be cut back where causing reduced visibility for road users. Verges that have been identified as being of ‘ecological importance’ get special attention to support a wide range of notable species or habitats. More than 200 of these have been identified across the county, and the plants remain uncut throughout their flowering and seeding seasons so they can survive and reproduce. If you spot any problems on the highway that need our attention, please use the Hampshire County Council website to report them, or raise any inquiries. More than 30 firefighters were called to a 60-acre field of standing crops and stubble alight near Winchester. To see a map of our Parish boundary as a PDF File please click on the link below. The Parish boundary is marked in blue.